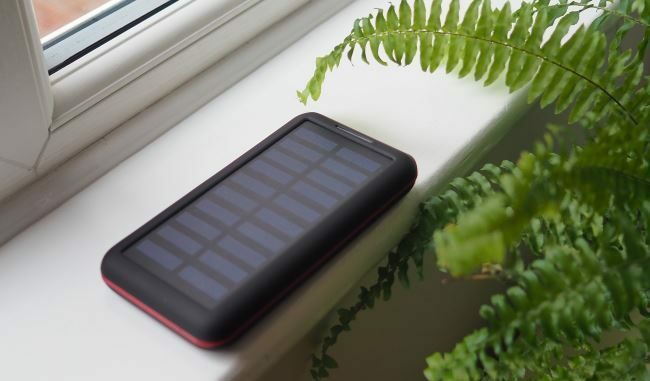 I was wondering what I could run off grid and wanted to start with an off-grid phone experiment, not really that radical, but more something for me to test the latest technology and to do the calculations around batteries, solar panels and power consumption – does it really add up? 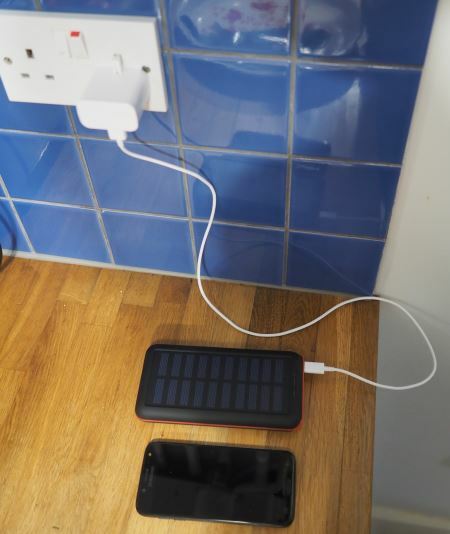 Samsung Phone and BERNET Solar PowerBank fully charged off mains, the experiment starts now. How many days can I go before I have to resort to an alternative form of charging? The solar panel is just meant to be a top-up, but lets have a go. 5 hours of input from the sun every day should be enough to top-up what I remove with my phone. The average numbers suggest that I’m going to be ok with running my phone on solar power acquired by the powerbank whilst I’m away from base. I’ve charged the phone at least twice in the last week and still going strong. Battery bank shows white light still and so either I’ve not used much or the solar is keeping up. This is a fine power bank, but the solar panel is next to useless in the UK in December.